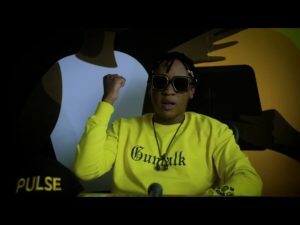 Home Entertainment Fik Fameica teams up with Beenie Gunter in Kaddemu Awo song. 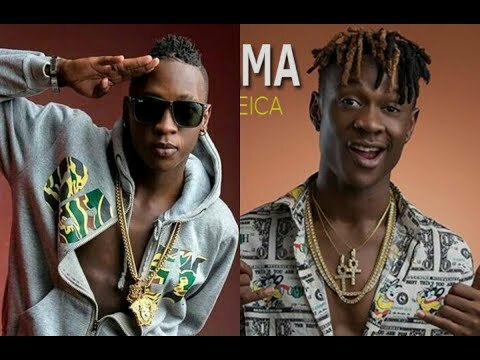 Fik Fameica teams up with Beenie Gunter in Kaddemu Awo song. 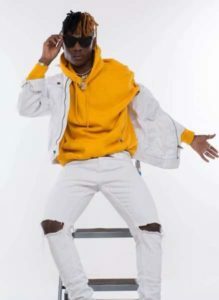 After successful music collaborations with other artistes Like Nina Roz in International Baby, Tompaana with Eddy Kenzo and his recent song Olina work featuring Nigeria’s top singer Skales who recently performed in Kampala a few months, Dancehall artiste Beenie Gunter has hit studio with Fast rising town Fik Fameica in Kaddemu awo song in our latest Uganda celebrity news. Most artistes have started recording songs with Fameika who has proved to be a talented young rapper at an early age of 22 years in order to resurrect their music careers. These include the beautiful Hellen Lukoma whom they teamed up last year and released the famous Nyabo Ssebo, also another struggling singer Byaxy joined the queue begging for a collaboration which gave birth to another hit song in Kampala titled ‘Gwe abisobola’. Other artistes who have had collaborations with fameica include Tipswizzy and Feffe Bussi in movie and dancer Wembley in Kachima among other Ugandan music celebrities. Kaddemu awo happens to be a mixture of rap and dancehall song produced by a talented producer Artin Pro which seems to be another masterpiece of Fik Fameica music. This song sounds as a copy of Chance Nalubega’s Abakyakala Mukyakale song. The music audio is already out on several music platforms and the latest news reaching Flash Uganda Media indicates that the two young artistes will be shooting the Kaddemu awo video very soon. Listen to it. Previous articleMore gold for Uganda, Titus Tugume wins gold and silver medals in USA. Next articleFlash Uganda Media opens up video production company for artistes.